Located on 162 private acres on the French Broad River near historic Hot Springs, North Carolina, our beautifully restored 3200sf historic barn is large enough to accommodate groups of 200 or more. Weddings provide a moment, a deeply personal memory in which everything fades away and you recall being surrounded by love and unforgettable beauty — your dream day. Today, more than ever, couples are looking to find a unique and rustic setting, defined by natural splendor, where they can gather the people they love most, without the fuss, for a relaxed and unforgettable memory. That’s where Paint Rock Farm comes in. 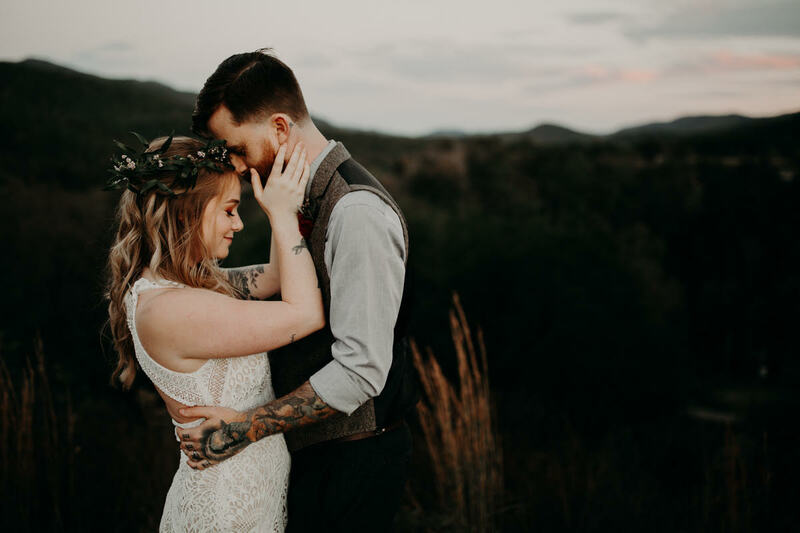 Nestled on 162 private acres overlooking the French Broad River and the Pisgah National Forest, Paint Rock Farm is the perfect venue for your upcoming wedding or special event. With a fully restored 3,200 square foot barn, 30 acres of pastoral fields and multiple ceremonial sites, Paint Rock farm offers expansive space for weddings of any size. 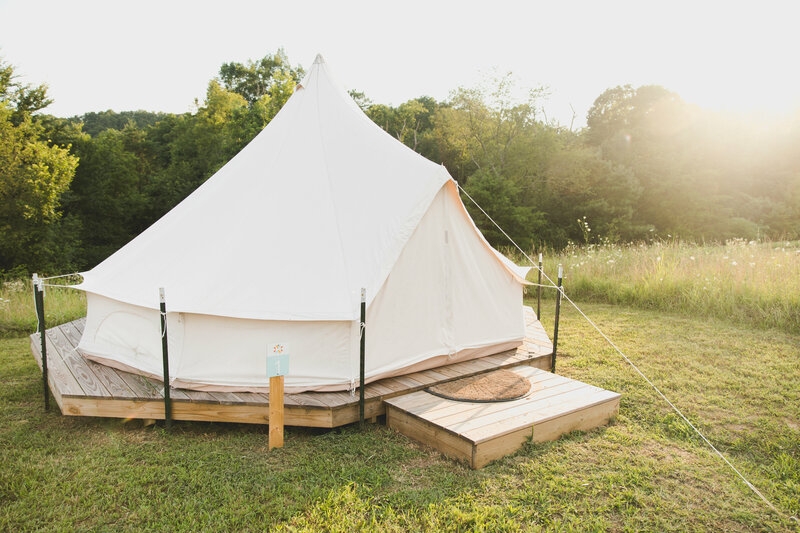 With the option of on-site camping, Paint Rock Farm is the perfect place to host your wedding or other event for an extended celebration! Accomodations range from “Lotus Bud” glamping with full bath facilities, to deluxe camping sites or primitive camping for large groups. At Paint Rock Farm, the celebration can continue for as long as you want! 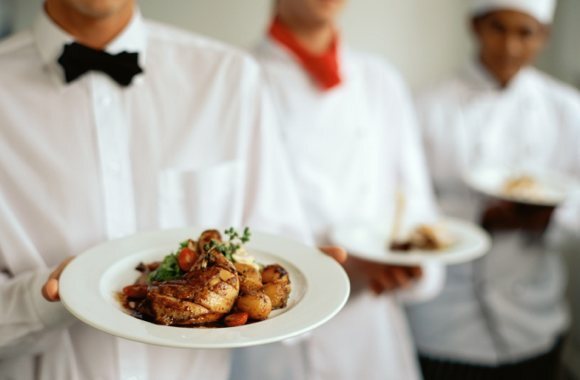 Whether you need non-denominational officiant services, day-of wedding coordination, or weekend event coordination, the professional, friendly staff at Paint Rock Farm has got you covered. 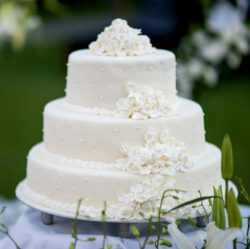 Paint Rock Farm offers a wide range of event support and event services to make your big day a joyful, stress-free experience you will never forget. 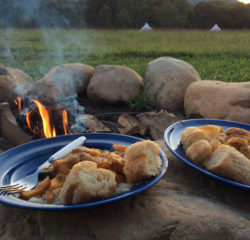 Experience this beautiful outdoor oasis at one of our luxurious glamping sites! 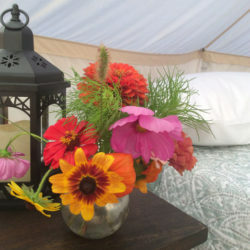 Glamp site feature beautifully furnished canvas tents, complete with a memory foam queen mattresses for ultimate comfort. Each unit has its own fire pit and picnic table. A restored Madison county barn is centrally located for indoor activities on a rainy day including ping pong, darts and games. After a long day, you're sure to enjoy a hot shower in our brand new bath house. 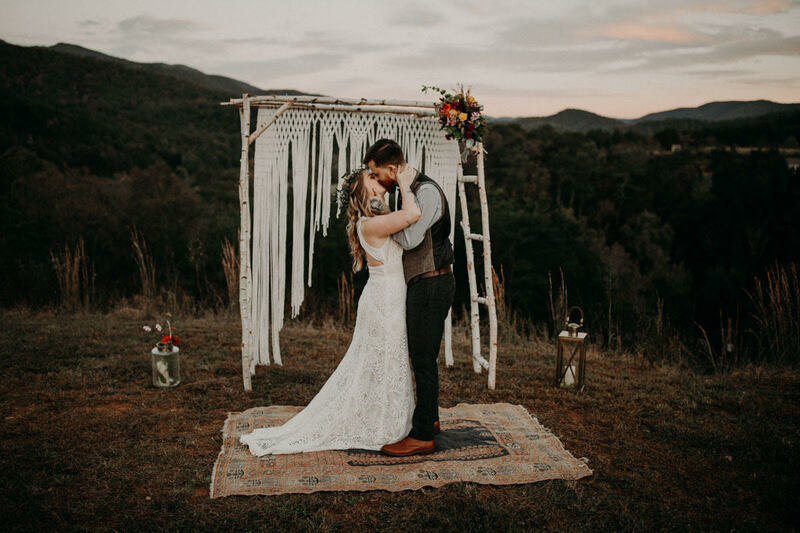 Whether you’re a couple who loves to hike, avid campers, Asheville locals looking for something different, you come from a big, joyful family and need a spacious venue, dream of unhindered stargazing, or are simply looking for a one-of-a-kind wedding escape, our farm is the place for you. We can’t wait to help create your matchless Paint Rock Farm memories.